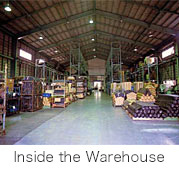 State-of-the art facilities materialize productivity and top-class quality. 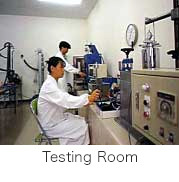 * By positioning your mouse over Various Testing Equipment, you can see the list of machines used. 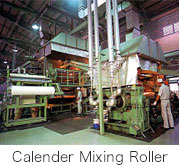 The raw materials and pigment are blended, and then (gelled by applying heat) the batch is kneaded by the thermoplastic heated large mixer. 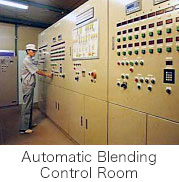 Through the rotation control operation of the mixer at this time, we make it possible for plasticization of various materials. 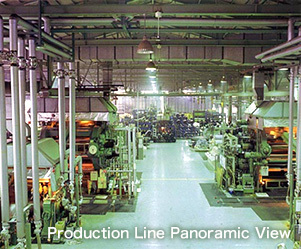 The gelled material is heated, keeping it at a temperature suitable for the next processing step. In addition, a process eliminating fine foreign matter using a strainer (material filtration machine) helps prevent possible product contamination. 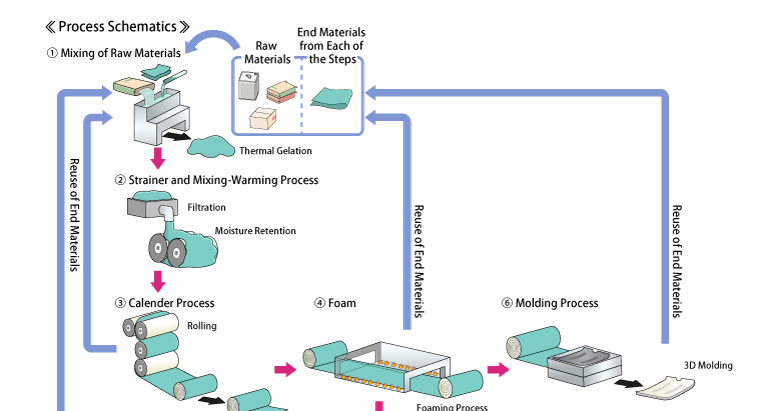 After filtration in Step 2, the heated material is pressed by four temperature controlled rollers into a sheet. To ensure precision machining temperature management, oil is used for heat mediation, enabling the stable processing of various materials in our facilities. 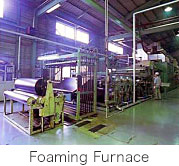 The material is formulated with a foaming agent, and then by applying heat with a gas burner, it is possible to create a cushion effect in the material . This will also lead to weight reduction of the product and is cost effective, by suppressing the amount of material in proportion to the product thickness. 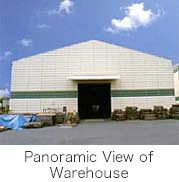 Bonded by heat welding without using an adhesive sheet produced by the above process. 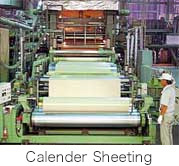 The sheet is made in various combinations such as: colored layer, foam layer, printing film, and based cloth. 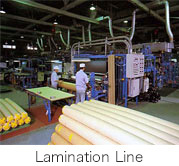 Sheets bonded together are pressed in a continuous winding finish to make a 3D shape. 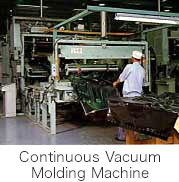 Quality control systems to check the products of the above-mentioned equipment. 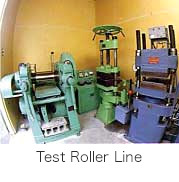 With the testing of enhancement and measurement equipment corresponding to various fields of products. Experience accumulated over many years and cutting-edge technology. 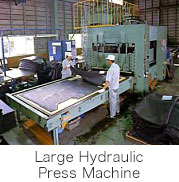 Daidokasei is always pursuing innovated production systems.